What is Wilson's Temperature Syndrome? a persistent but reversible slowing of the metabolism often brought on by the stress of illness, injury, or emotional trauma. often worsened in stages with subsequent stress. characterized by a low body temperature and classic low-thyroid-like symptoms. often corrected with a special thyroid treatment even though thyroid blood tests are often in the normal range. Come on earlier in life. So early that some patients may not even know what it feels like to be normal. Worsen more gradually over time. Those who seem most prone to developing Wilson’s Temperature Syndrome are those whose ancestors survived famine, such as Irish, Scottish, Welsh, American Indian, Russian, etc.. Most susceptible of all seem to be those who are part Irish, and part American Indian. But under severe circumstances people of any nationality can develop Wilson’s Temperature Syndrome. About 80% of Wilson’s Temperature Syndrome sufferers are women. Do you feel so bad that you know something’s wrong with your health? Do you feel that you need to fix it so you can live a normal life? If blood tests are normal, then why do you feel overwhelmed? There’s nothing normal about problems with energy, stress, weight and mood. And the impact on fitness, family and career can be all too real. We believe you. We know it may not be “all in your head.” Your symptoms might be attributed to your low body temperature. If they are, there’s a good chance that treatment with Wilsons Protocol will help you get your health and your life back. We have found that a low body temperature can cause life-promoting enzymes to tighten and malfunction – slowing metabolism and triggering a cascade of “low thyroid-like” symptoms. Blood tests come back normal, so treatment stalls out. We’re here to get your treatment back on track. This medical protocol is being used by hundreds doctors and has given thousands of low body temperature patients their lives back. The protocol is Wilson’s T3 Protocol (WT3). Discovered by Denis Wilson, M.D., this breakthrough sustained-release T3 therapy may optimize body temperature, restore healthy enzyme function, and reverse your elusive low thyroid symptoms. In many cases, the symptoms do not return for many months, if at all, even after the treatment is stopped. It’s easy to see if your metabolism has slowed down and might be contributing to your health problems. You can simply check your body temperature. 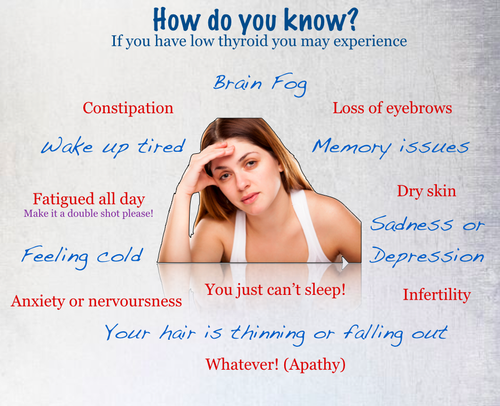 In fact, low body temperature and low-thyroid-like symptoms are so closely related that it appears that the low body temperature is actually what causes the symptoms. A low body temperature is a very reliable indicator of poor health that can often be corrected with restorative medical techniques. How Can A Low Body Temperature Cause So Many Symptoms? Virtually all of the chemical reactions that take place in our bodies are catalyzed by enzymes. Enzymes are proteins that are dependent upon their shape, or conformation, for their activity. When enzymes are too hot they are too loose, when they are too cold they are too tight, and in either extreme the enzymes are not the right shape and cannot function optimally. When the body temperature is too low, nearly all of the enzymes in the body function less effectively. This can cause a very wide variety of complaints. It’s well known that high fevers (107 degrees F) can cause brain damage and even death, and that very low body temperatures (< 90 degrees F) can also be life-threatening. A high fever can feel really bad (and reason enough to be excused from school or work), it can also feel really bad to have a body temperature that’s a degree, or two, or three BELOW normal. Of course low body temperatures can easily explain a classic set of symptoms. It is obvious that we are looking at a continuum, and in order to function optimally, the body must be at the optimal temperature.